Researchers from Cardiff University and Queen’s University Belfast have discovered a cheap method to extract significant amounts hydrogen from grass, opening up possibilities for sustainable clean energy. The technique, described in the Royal Society journal Proceedings A, involves converting cellulose in grass into hydrogen using sunlight and metal-loaded titania photocatalysts (palladium, gold and nickel). Cellulose is a key building block for plants and the most abundant biopolymer on Earth, as well as being a plentiful source of hydrogen. Initially, the team combined the three catalysts with cellulose in a round bottom flask and subjected the mixture to light from a desk lamp, measuring the amount of hydrogen produced at 30-minute intervals. 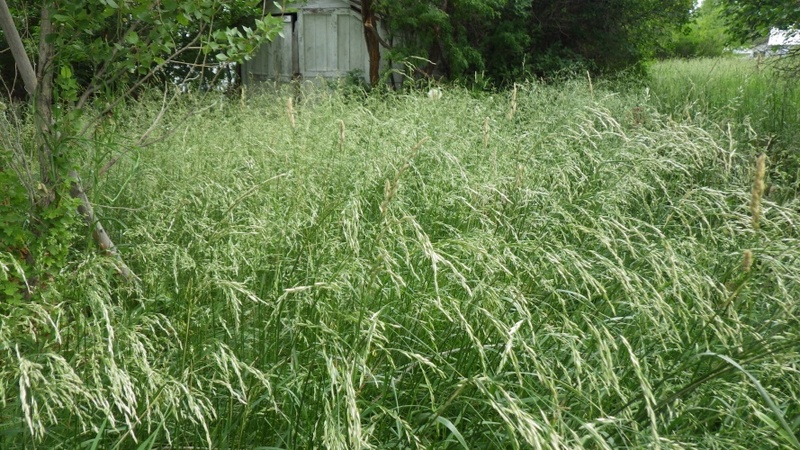 Following the experiment with cellulose, the researchers then conducted a second experiment using simple fescue grass harvested from a domestic garden, and again obtained substantial amounts of hydrogen. Despite the relative simplicity of the process, the team believes it is the first time hydrogen has been acquired from raw biomass using photocatalysis. How much energy is “substantial amounts of hydrogen” in comparison with the sun light energy required to obtain it? I would not be surprised that it is rather a new way of converting solar energy into hydrogen. Agreed, what is substantial and for inputs in, for example, area required of solar reactor. Hydrogen isn’t really a primary sustainable energy, just a transportable one that is clean at the point of use. Very few schemes are economic even at the basic levels of electrolysis generation, and the electricity has to generated somehow. Hydrogen is a tricky gas to handle. Methane is much easier – and we already have a vast infrastructure to support it. Turning biomass into methane only requires some friendly (and commonplace) bacteria – no sunlight required. In fact, the technology to do this is already in place. So what’s the point? What we really need is an efficient fuel cell that will run off methane. Depends on the difference on the rate of product is produced and the release of energy when consumed. Terrific idea to process biomass into a useful gas. Wonder what happens to the rest of the cellulose, as hydrogen is only a small part of the cellulose molecule (in mass terms). If the principle is feasible, the next stage would be to look for lower cost catalysts and whether solar concentrators could be used to make more compact plant. While I personally have absolutely no time for the “Low carbon technology” scams that abound, good technical developments should be encouraged. Of course it is a way of extracting energy from the sun. This time using natural feedstuffs instead of what was in the ground, which originally came from the sun anyway. Given the feedsource material it doesn’t really matter how efficient it is as long as we can produce sufficient without detracting from its other uses such as food. As with fusion power as long as it produces more energy out compared to what goes in then with development it could be a good thing, especially if the technology required is not too complex.